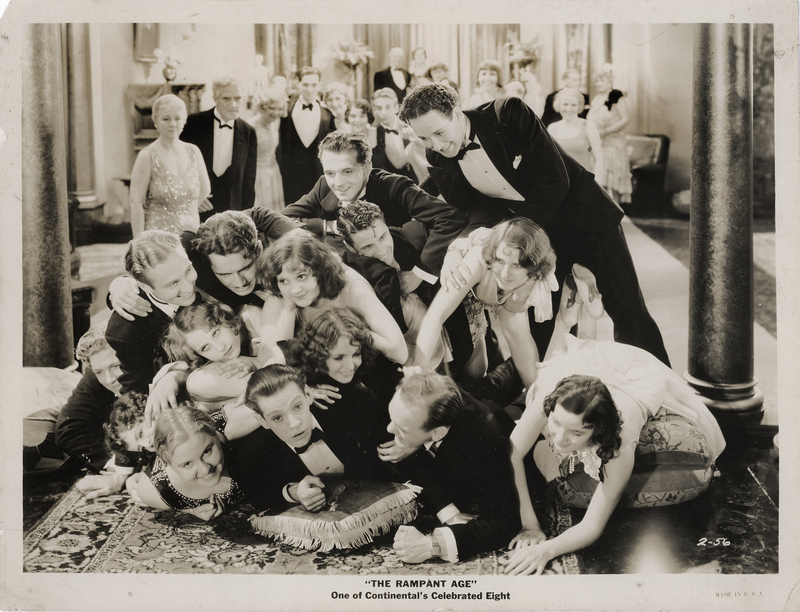 SCVHistory.com LW2917 | Film-Arts | 'The Rampant Age,' Trem Carr Productions 1930 (Full Movie). Trem Carr and Ernie Hickson were already making movies together in Placerita Canyon by the time they made "The Rampant Age" in 1929 (released Jan. 15, 1930) — but this wasn't one of them. 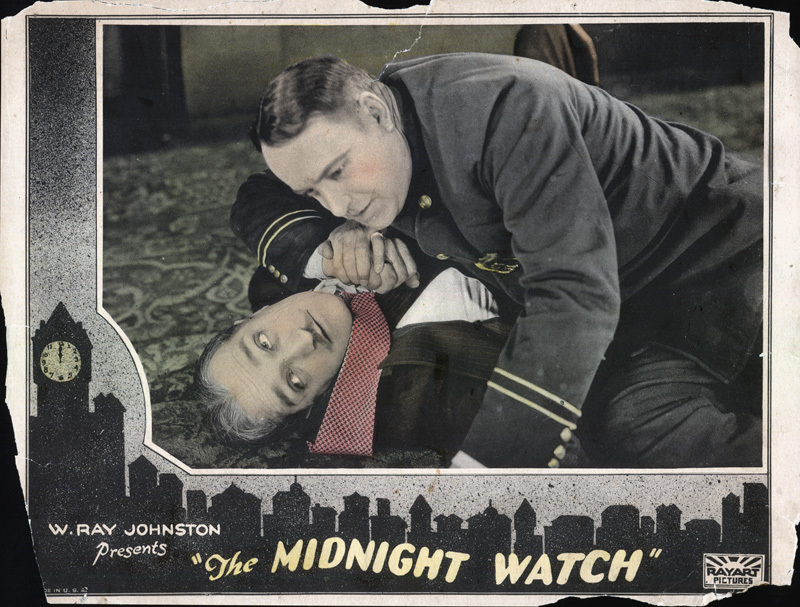 James Murray and Myrna Kennedy star in this Phil Rosen comedy written by Robert S. Carr and Harry O. Hoyt and released by Continental Talking Pictures Corp. under the states rights system. Carr probably rented one of the Poverty Row studios in Gower Gulch for the interior sequences in this picture — something he no longer had to do after 1931 when he took out a 5-year lease on movie ranch property where Disney's Golden Oak Ranch is located today. In 1936 he moved down the road to another movie ranch Hickson had purchased, now known as Melody Ranch. As he did for all of Carr's pictures, Hickson handled set design for this one. Paul Malvern, assistant director of this picture, was no stranger to the SCV, either; his Lone Star film company would make numerous feature films starring Bob Steele or John Wayne at Carr's 1931-36 Placerita Canyon ranch. Exterior flying sequences in "The Rampant Age" appear to have been shot in Burbank. The United Air Terminal didn't open until 1931, but Lockheed had a landing strip in the area. At the end of the movie, a biplane crashes into a barn or hangar-type structure with the name "Magnolia Park" on it, in big, bold letters. (Well, it's a biplane when it starts its descent; when it crashes it has just one wing, and it might not even be a real plane.) Housing construction started in 1923 in Magnolia Park (west of Clybourn Avenue between Magnolia Boulevard and Clark Avenue); it annexed into the city of Burbank on Oct. 6 of that year; and by the time our film was made in 1929 more than 3,500 homes had been built there. Perhaps the destruction of the building in the "plane" crash was a way to clear the area for more homes. Just a guess. The Great Depression slowed things down, but the area eventually rebounded with a vengeance and made room for all three — movie studios, aircraft and people. Read more: Melody Ranch: Movie Magic in Placerita Canyon. LW2917: 9600 dpi jpeg from original photograph purchased 2017 by Leon Worden.